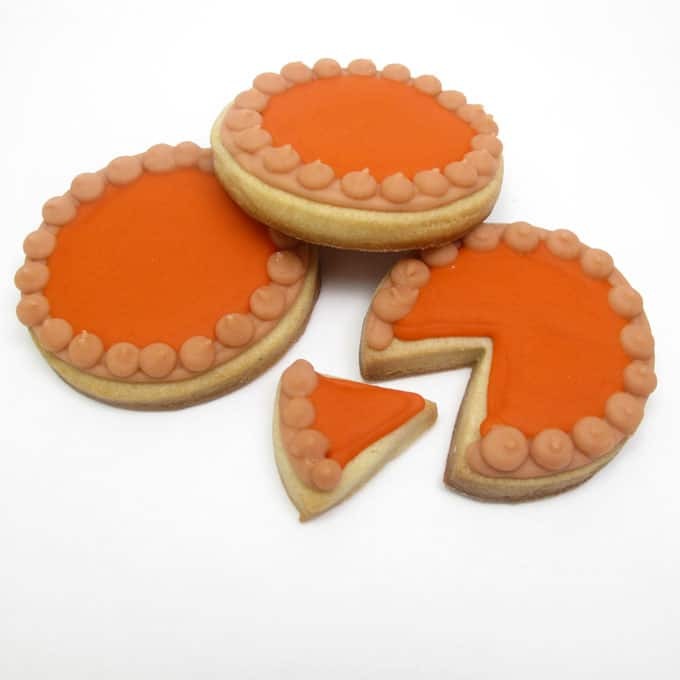 Thanksgiving cookie decorating ideas: Pumpkin pie cookies. 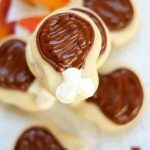 Some Thanks giving cookies ideas for you. 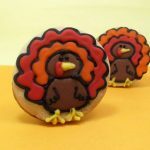 I originally made these pumpkin pie cookies for Celebrations. It’s pumpkin pie that fits in your hand, you can stack, package and even ship. How is that for Thanksgiving convenience? 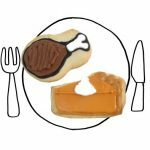 Be sure to check out all my Thanksgiving fun food ideas here. 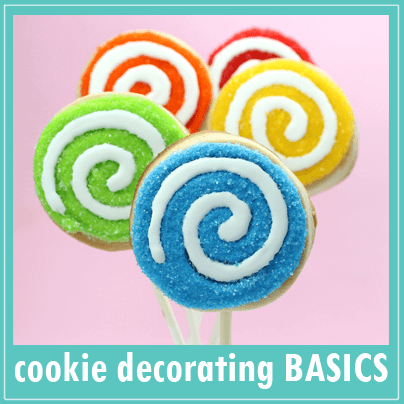 Click here for cookie decorating supplies. For food coloring, I suggest Americolor Soft Gel Paste (Orange and Chocolate Brown). 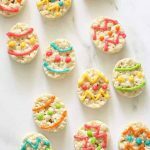 Roll out chilled cookie dough, cut out circles and bake according to the recipe. Let cool. OPTIONAL: For another decorating idea, cut a wedge out of some pies before baking. Prepare royal icing according to the recipe. Make sure the icing is stiff enough to hold its shape. 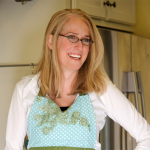 Use additional confectioner’s sugar as needed to get the right consistency. 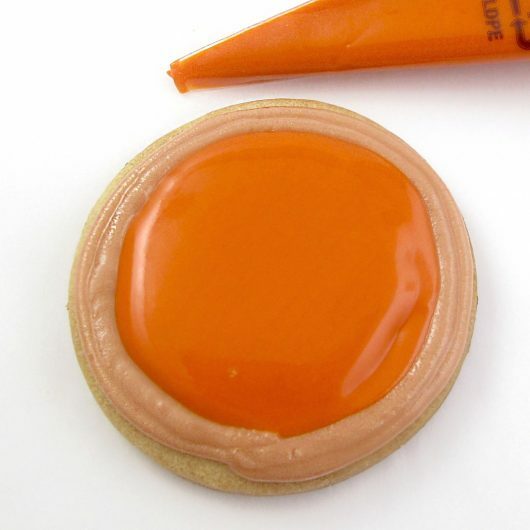 Divide the icing and tint your colors: light brown and orange (Add a drop or two of brown food coloring to the orange to make it more pumpkin pie-color). Prepare a decorating bag fitted with a coupler and size “5” decorating tip, and fill with the light brown icing. Close the bag tightly with a rubber band. Cover and reserve the orange icing. 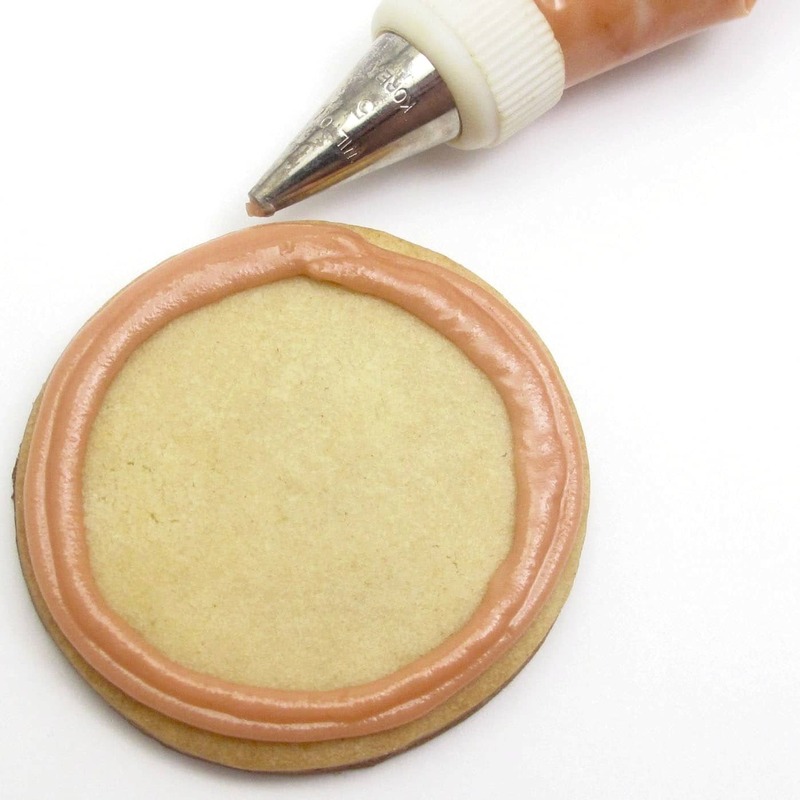 Using the light brown icing fitted with a size “5” tip, pipe an outline on the cookie. Repeat with another outline just inside the first outline to make a thick border. Let set well, about 15 minutes. Thin the reserved orange icing with water, a few drops at a time, until of flooding consistency (when a spoonful is overturned, the icing should disappear into the rest of the icing in ten seconds). 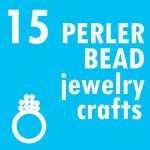 Fill an empty decorating bag and snip about 1/4 inch from the tip. 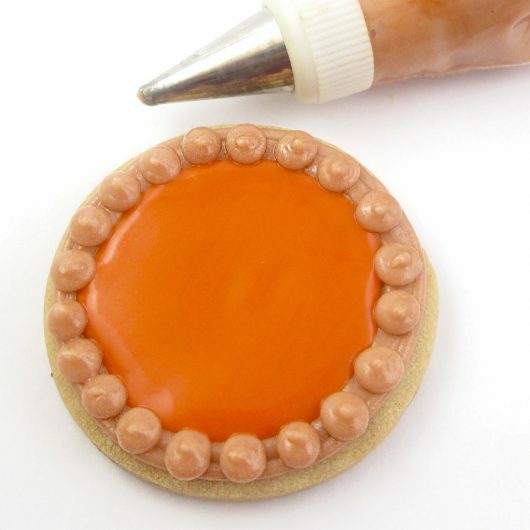 Flood the cookie with orange icing, encouraging as needed with a toothpick so the entire cookie is covered, and let set well, several hours at least. 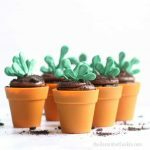 Pipe dots around the border with light brown icing fitted with a “5” tip. Let the cookies dry overnight. Could you be any cuter? No. These are amazing. I love the little piece cut out! 🙂 So sweet! Adorable. 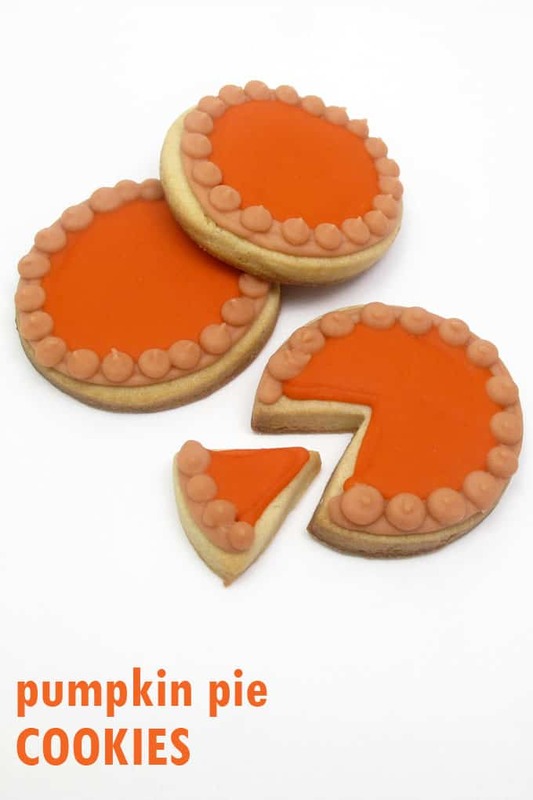 Love pumpkin pie and love these pumpkin pie cookies. Strangely enough I have a craving for both now. I hate to default to "these are cute…" but truth is, they are…cute. Those are so cute. You are so talented. Meaghan! 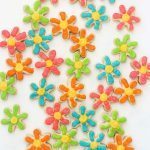 We absolutely LOVE these cookies! Thank you again for sharing them with us at Celebrations! cute!! look like a real piece of cake!! I mentioned you and put a few pictures on my blog ! You have so many clever ideas! Wouldn't these be great with pumpkin pie spice added to the dough and then you could use cinnamon chips on the edges! My husband would LOVE these! Aw, my blogging buddies, you're all too sweet to moi! And thank you to Jaclyn! And hi Roberta, thank you!! SO cute, especially the tiny slice~love it! Time to pin! 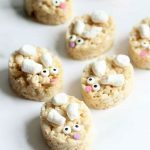 These cookies look so cute! You gave me a great idea…I'm going to make them for Thanksgiving. I found some cookie bags at Box and Wrap and then I can send my quests home with a little treat. Here's the link if you're interested. Another great idea and a little slice of heaven.